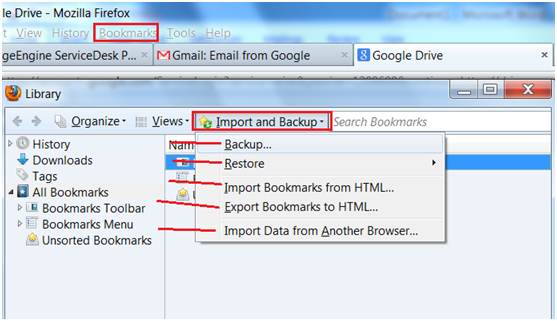 Techies Sphere: How to export or backup Mozilla Firefox bookmarks? How to export or backup Mozilla Firefox bookmarks? Open Mozilla Firefox > Click on Bookmarks > now Click on “Show All Bookmarks” > now a window pop will be highlighted > Click on Import and backup > Click on Backup > Select the destination of backup file to be kept > save.